THIS IS IT! - From the moment you enter this lovely home on a north-facing corner lot with wonderful views of the Catalina's PLAN TO BE AMAZED! Spacious, split-bedroom floor plan with ceramic tile and wood laminate flooring. 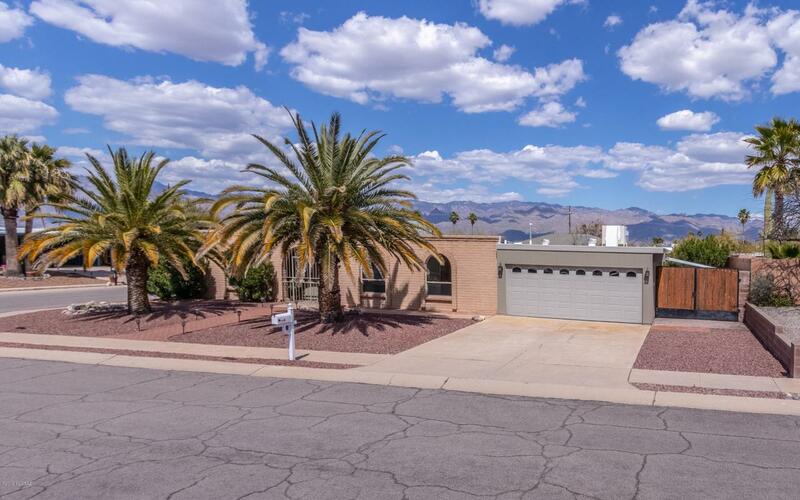 The GORGEOUS REMODELED kitchen features a ''WALL OF WINDOWS'' with VIEWS of the backyard & MOUNTAINS, NEW CABINETRY with soft closing doors and drawers, NEW CORIAN countertops and NEW STAINLESS STEEL built-in appliances. NEW, energy efficient LOW E WINDOWS in kitchen and bedrooms and french doors with integrated mini-blinds in the living & dining room. 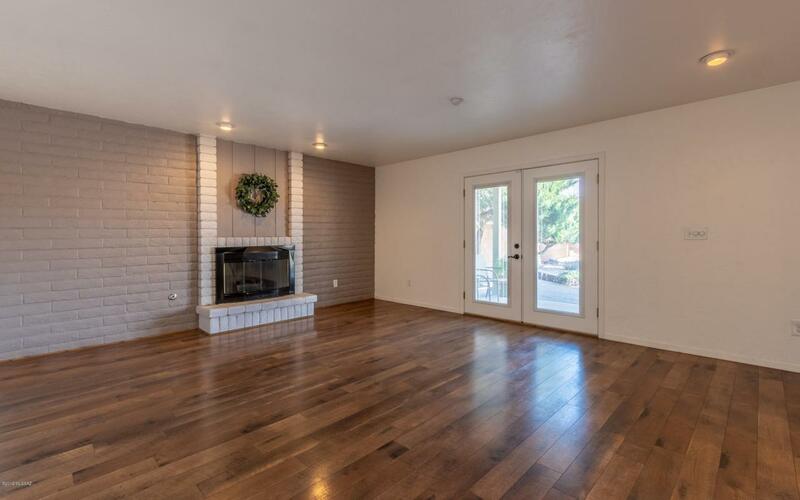 Raised hearth GAS FIREPLACE in living room, ceiling fans in bedrooms & patio. Your private, masonry walled yard is beautifully landscaped and features a raised flagstone sitting area and pavers. 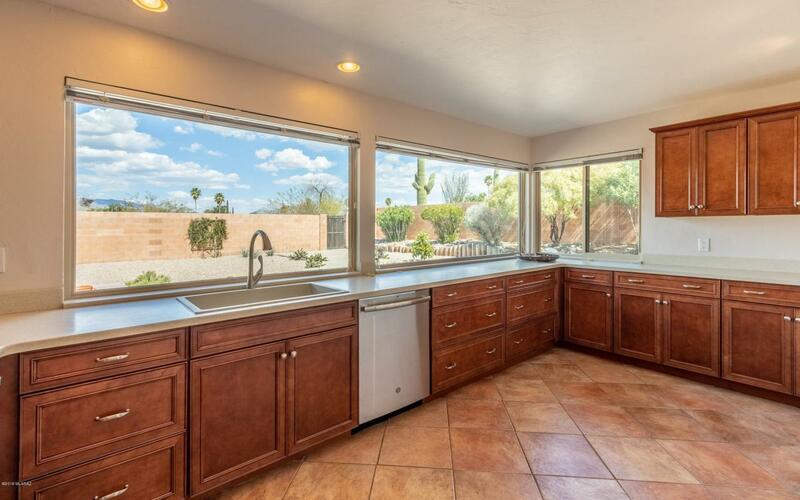 COME TAKE A LOOK!Imagine yourself sitting at a bar table in the kitchen and looking through the large picture windows toward your lovely backyard and the Catalina's. 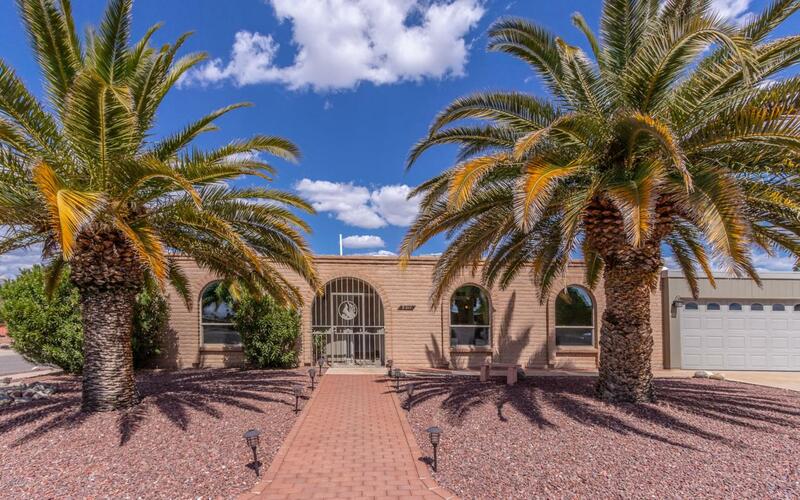 Majestic palm trees in the front yard with a brick pavered walkway. Your private backyard is a great place to entertain your family and friends or enjoy our beautiful Tucson sunsets and mountain views. Additional features include a double side gate with a covered storage area for extra parking, RV Parking, etc. This quiet cul-de-sac street shows true pride of ownership and No HOA. Call today for your private showing.